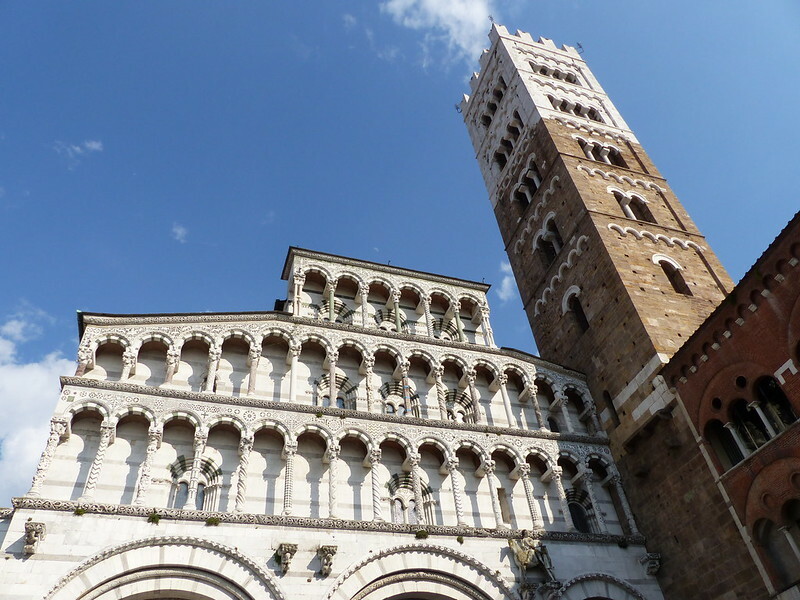 Travel - One day in Lucca, Tuscany. 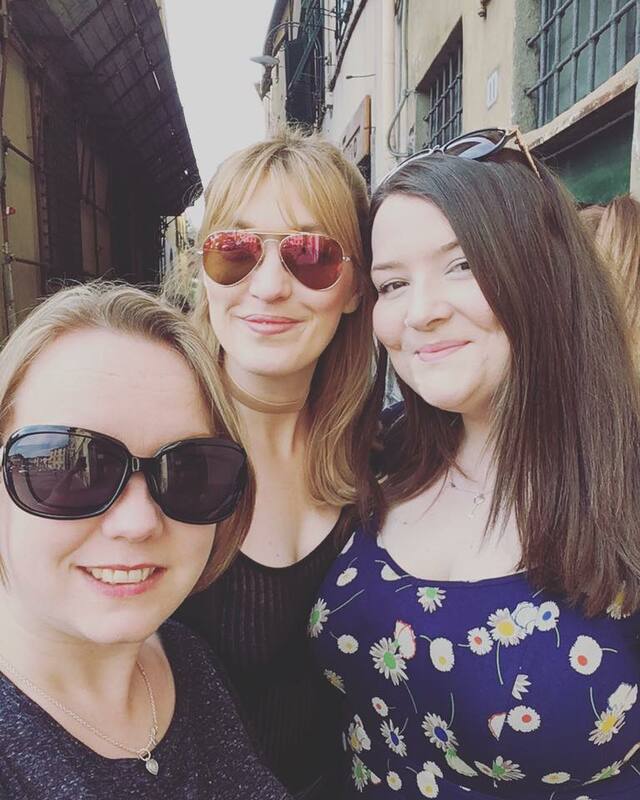 I can't believe my trip to Italy with my mates was over 4 months ago! 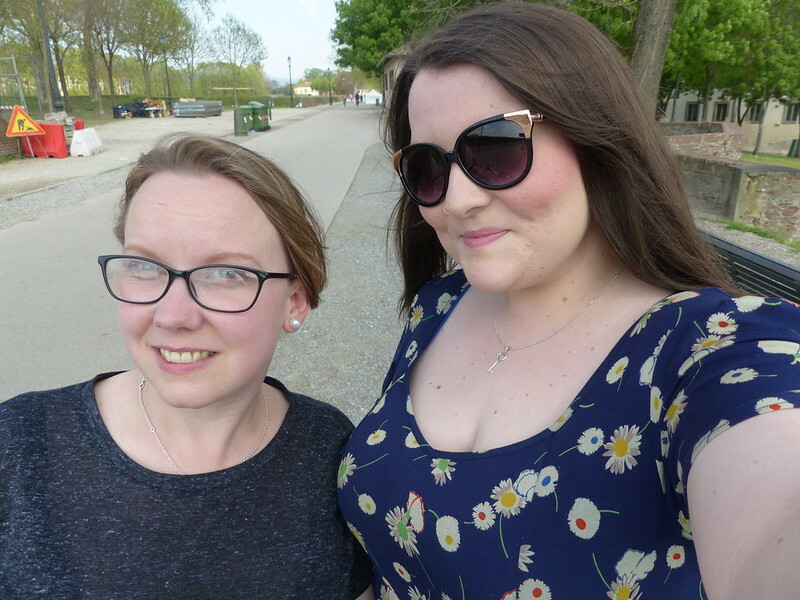 You can read my first post about Italy which focussed on Pisa here - Pisa Photo Diary, but today I'll be sharing my experience of visiting Lucca. 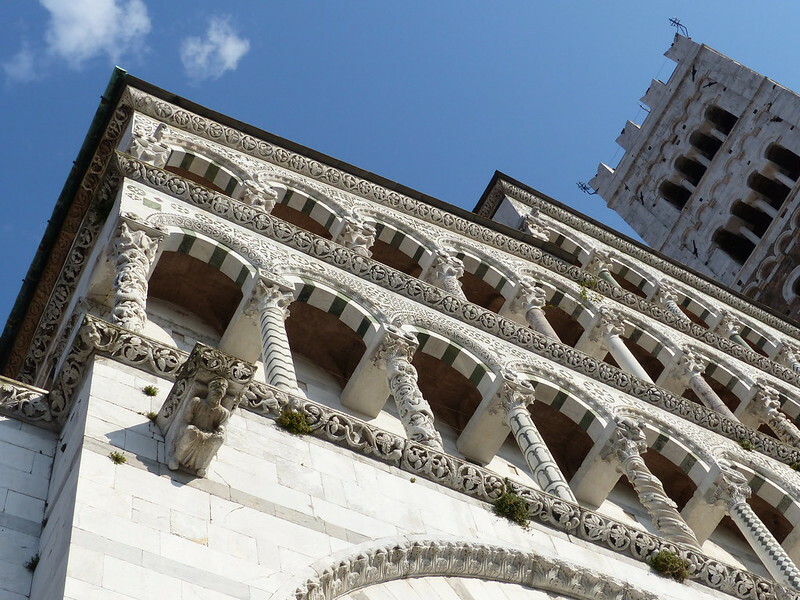 It's easy to see why Lucca endears itself to pretty much everyone who stops to visit. It's hidden behind defensive walls and has charming cobbled streets and bustling piazzas. 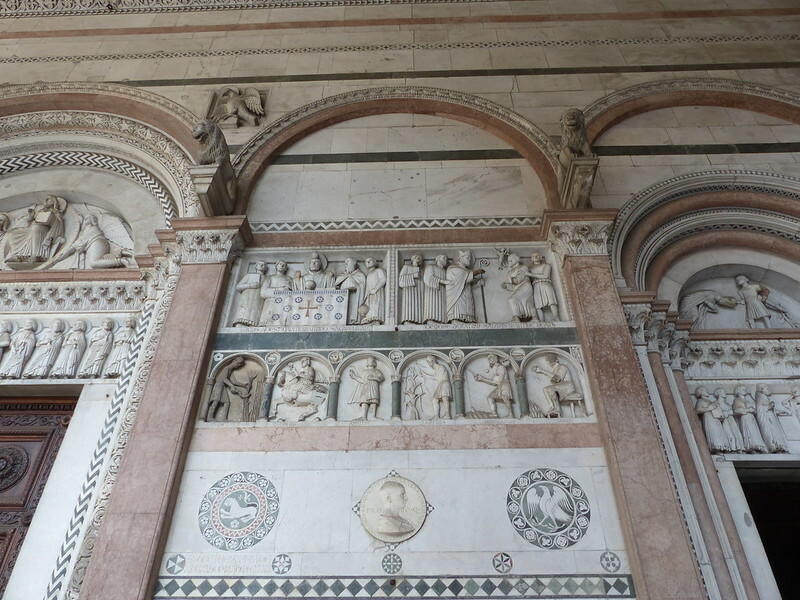 The city hasn't been involved in major conflict since 1430 so the walls are very well preserved, as are the many Romanesque churches in the city. It was also the birthplace of Giacomo Puccini. 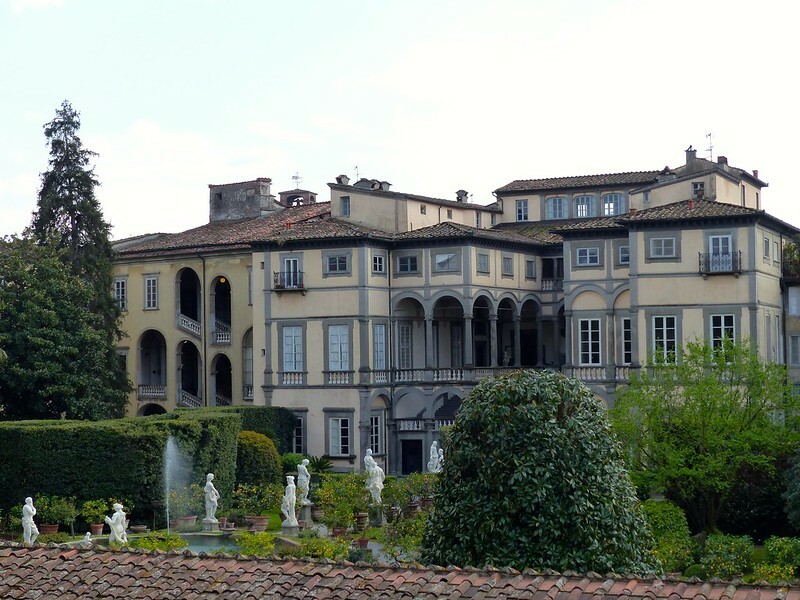 It would be a great place to visit for the day if you are staying in near by Florence as the rail links to the city are excellent and pretty cheap. The city was a short 20 minute train ride from our base of Pisa which is served by budget airlines form the UK - this is a really easy to reach destination but feels much more relaxed and has a lot less tourists compared to Pisa and Florence. The city is compact enough to be explored by foot and I highly recommend hiring a bike to cycle around the city walls for the best views of the city and the surrounding area - hiring a bike and speeding around the walls was my favourite part of the day. 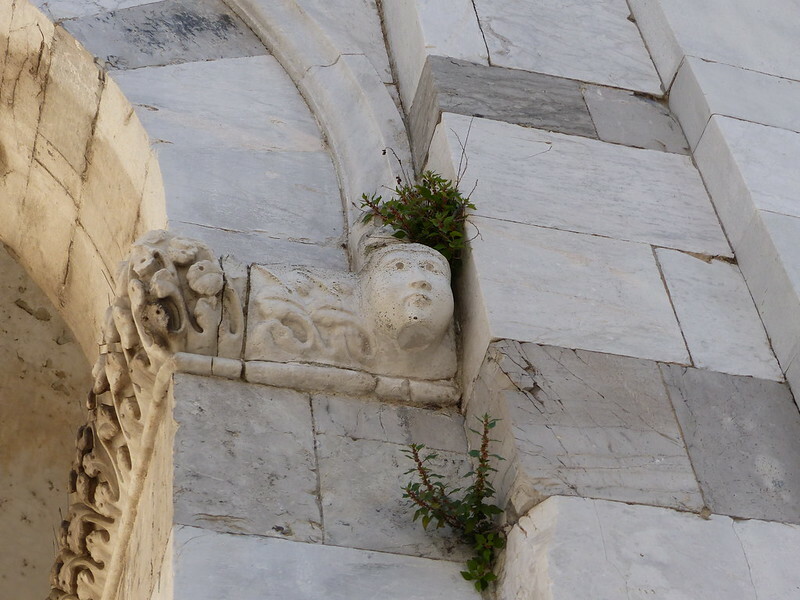 Lucca seems to have Romanesque churches on every corner constructed from white and grey marble in a similar style to Pisa’s duomo. The beautiful Church of St. Michele in Foro was built on the site of the Roman forum in the 11th and 12th centuries. The anfiteatro is another of Lucca’s attractions and was built in the second century AD. Between 1830 and 1839 the buildings occupying the ancient arena were pulled down and the inner area became a piazza which is now filled with cafes and shops. We made a pit stop here for a huge gelato and coffee. Most of our day was spent wandering the pretty streets, sipping cocktails on the terrace of Caffetteria San Colombano (great salads and wine selection too) and racing around the wall on bikes. 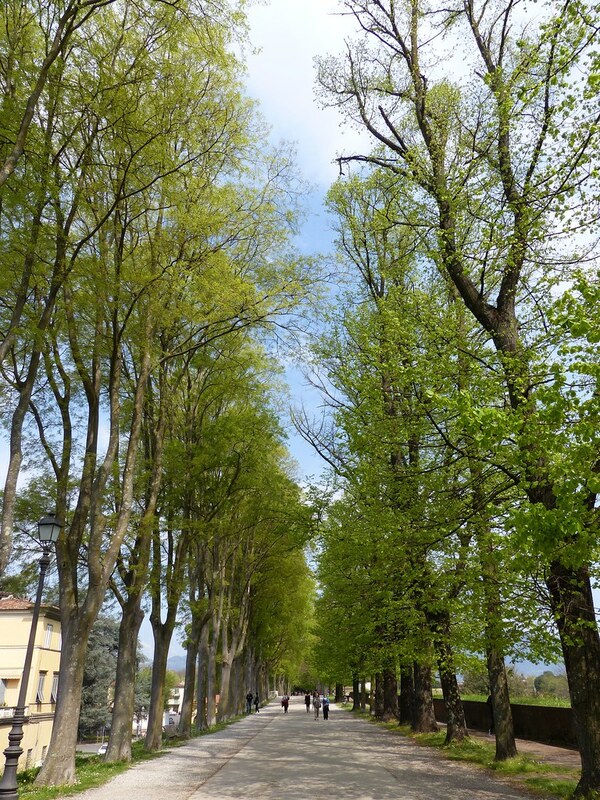 After a couple of days of walking for miles and cramming in the sights Lucca was a pleasant and tranquil retreat. 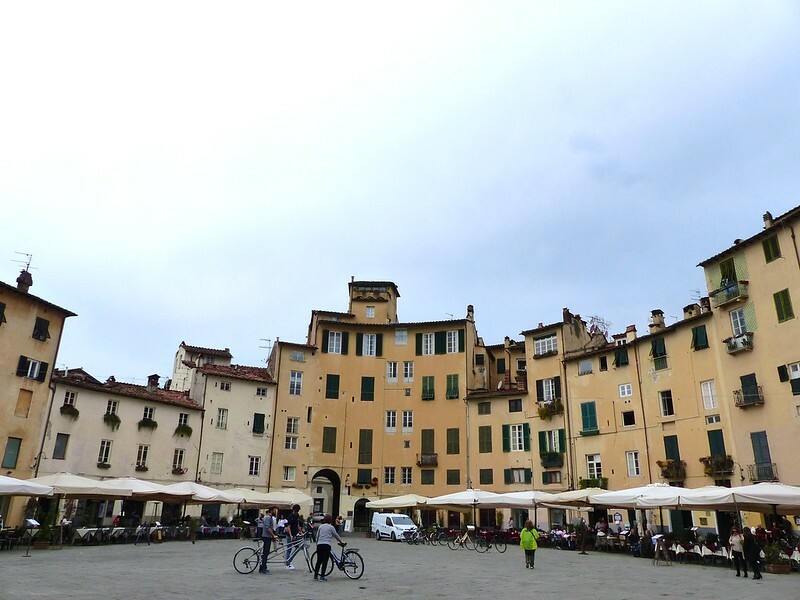 I would love to return to Lucca for a long weekend foodie break. 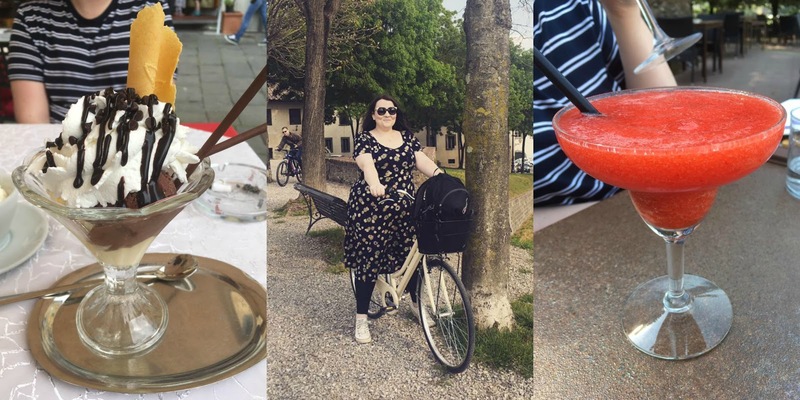 I didn't have time to try the local speciality - tortelli lucchese which is bright yellow pasta, stuffed with seasoned meat and topped with a ragù and a weekend sipping Aperol spritz in a sunny piazza sounds like my idea of heaven. 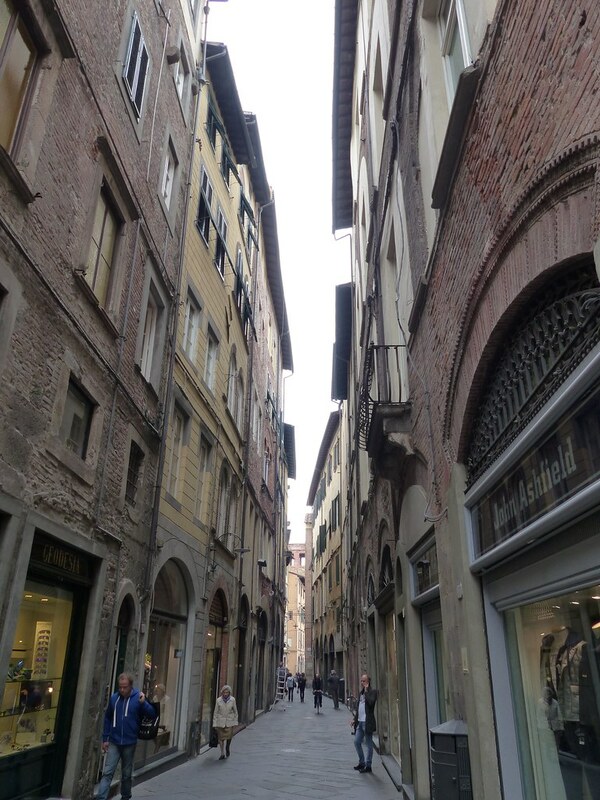 I think most people want to see want to see the “real, untouristy” side of Europe when they travel and I felt like Lucca got pretty close to that. Whilst I am incredibly excited about my upcoming wedding (only 41 days to go!) I'm equally as excited about the honeymoon Martyn, Coco and myself will be heading off on the day after the wedding. There's nothing quite like the freedom of the long open road and this is why we have chosen to embark on a Scottish highland adventure - taking in Scotland's finest coastal scenery on the epic North Coast 500. The NC500 is Scotland's answer to Route 66 and starts in Inverness, weaves its way along the coast taking in Ullapool, Caithness and John o' Groats before heading south again through Dingwall and finally back to Inverness. I'm certainly not going to need bikinis or floaty summer dresses for this honeymoon - I'll have to be far more practical and pack layers for the changeable British weather. 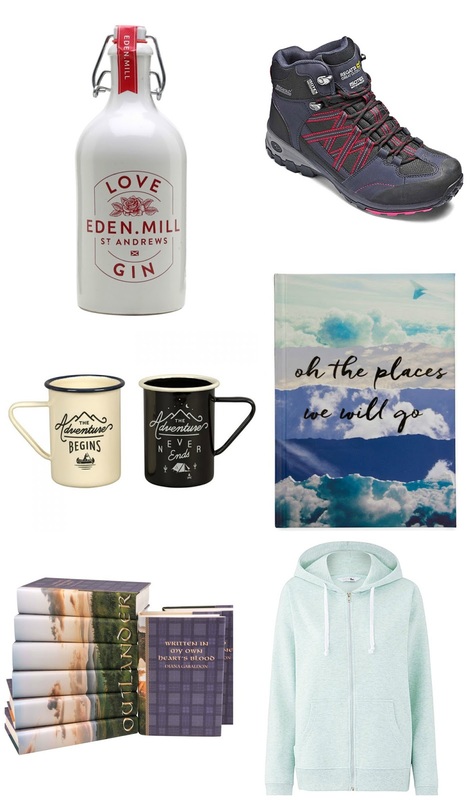 I'm hoping the trip will be filled with romantic walks along the north coast of Scotland, lots of cosy nights in the camper van reading a book with hot chocolate and sitting outside gazing up at the stars (with Coco on my lap) enjoying some of my favourite tipple - Scottish gin. I'm a big fan of Eden Mill gin and have already own a few bottles but this light blush pink gin would be a great addition to my gin collection and it would be rude not to indulge in some Scottish gin whilst I'm in Scotland, right? It is blended with local botanicals and exotic fruits. These walking boots will be ideal for strolls along the coast with Martyn and Coco and rambling across the rugged Highland landscape. I love an enamel mug, not only are they really cute they keep your cuppa nice and warm and can withstand a few bumps and drops. These mugs from MenKind make a perfect Mr&Mrs pair. I've been scrapbooking for a long time and love to keep gig tickets, train ticks and photos from my travels and pop them in a scrapbook to look over and reminisce and to keep all these bits safe. I've got a feeling I'm going to take 1000+ photos on my honeymoon so I'll need a dedicated scrapbook. This one from Paperchase is the perfect size for a single trip. I'll be taking an external hard drive filled with movies and box sets to watch in the camper van just in case it rains but I've also been looking for some reading material for days on the beach and for the long drive from South Wales to Scotland. I've picked up plenty of guide books and touring maps to plan my trip but I also fancy some fiction set in Scotland. I've just ordered the first Outlander book but I would appreciate some Scottish fiction recommendations in the comment section if you have any. I've treated myself to a couple of new dresses which will be great for days when we pass through towns or are going for a pub lunch but I'm looking for a few practical items to layer up when it gets cold at night. I'll be getting a few hooded tops like the lovely pastel one above from Simply Be, some fleece lined leggings and comfy jumpers. I better start making a packing list!